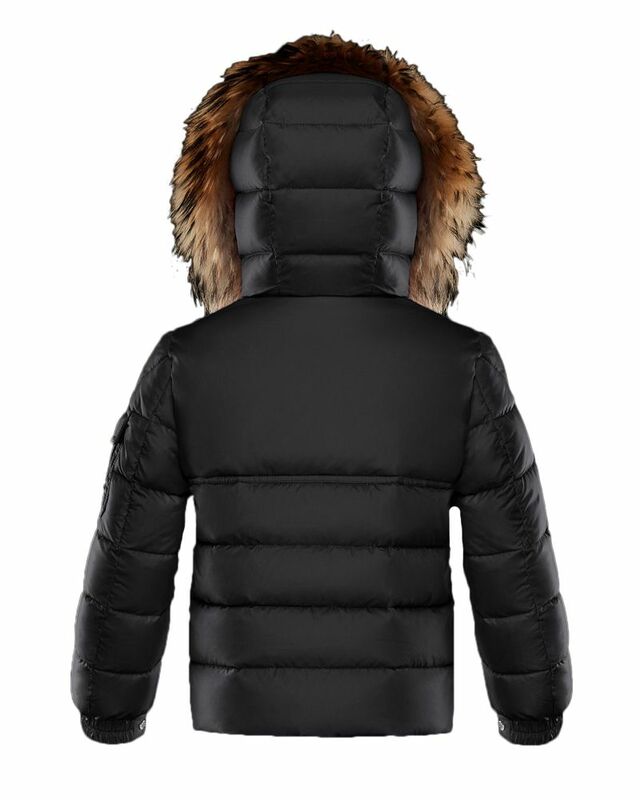 Moncler black down padded ’New Byron’ Jacket with fur detailing around the hood. 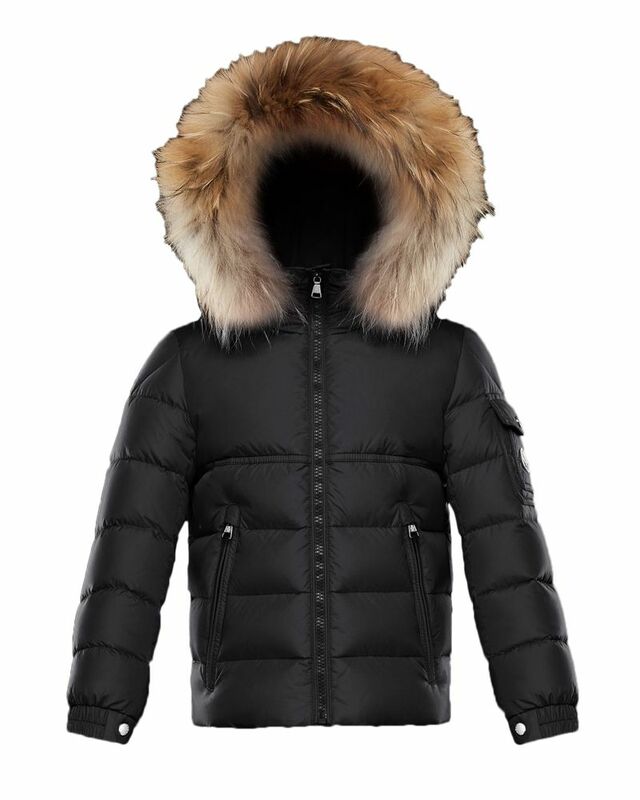 100% Polyamide, 90% Down, 10% Feather. Made in Georgia.